warmly welcome guests at the Sorcar residence. Over the years, a variety of artistic creations by Manick Sorcar has been exhibited at art galleries and used as decors at his home. They range from traditional painting, digital painting, sculptures, newspaper collage, news-art, spice-art, tile art, tile collage to Laser art. This posting is about some of his folk art recently painted on large clay pots. (Top): A three-pottery fountain gently spills water to its base. Sorcar used waterproof latex paint for the folk art, and river rocks to control the water spill direction. 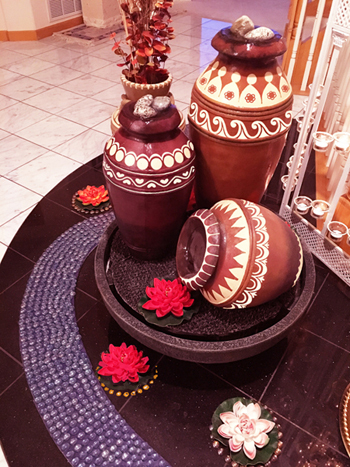 (Above left): A Mexican terra-cotta pot with Sorcar’s folk art. 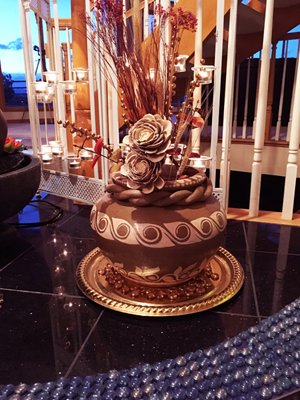 It is used as a vase for dry flowers. 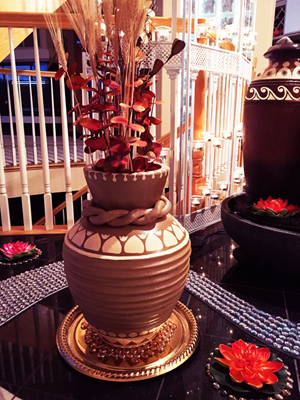 (Above right): Another Mexican pot with Sorcar’s folk art, used as a vase for dry flowers. What makes them unique is that, unable to find clay potteries of India, he used Mexican “Barro” (terra-cotta potteries) as the canvas for the art. They are brown and look similar to Indian clay potteries. 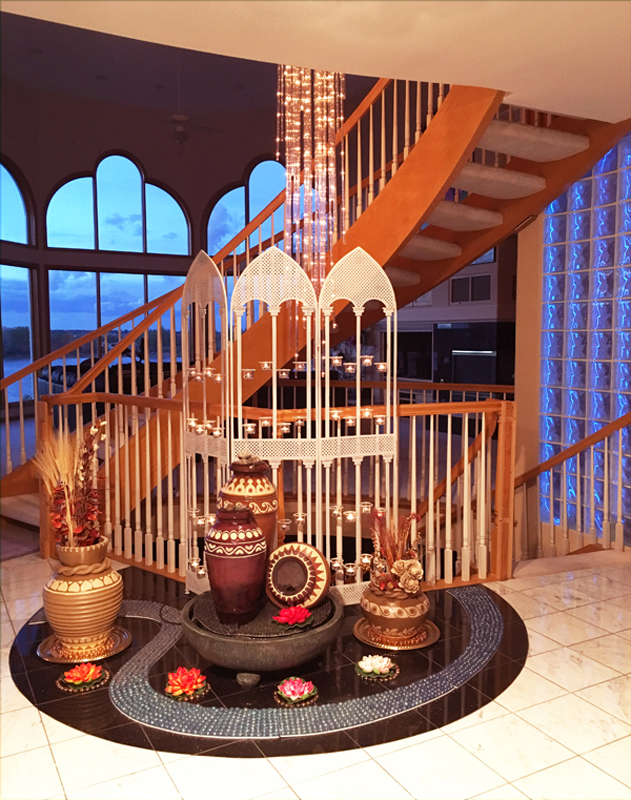 At present they are showcased on the marble floor of the foyer, in front of the candle-screen, to warmly welcome guests to his home.